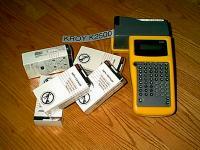 Kroy Monthly Special From Hanover Technical Sales, Inc.
Offers Involving K2500 are for a reconditioned one. Offers Involving K5100 are for a reconditioned one. Offers Involving K4100 are for a reconditioned one. Offers Involving K3100 are for a reconditioned one. Offers Involving K3000 are for a reconditioned one. 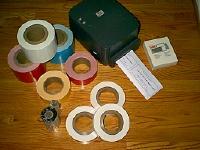 Ditto Offers Involving TM600 are for a reconditioned one. A SIX MONTH WARRANTY ON PRINTER AND PRINT HEAD. FROM STOCK ... AT A DISCOUNT! for each cartridge you purchase. Offer limited to one printer. Bottom line price limited to $0.00 if you buy that many cartridges. Yes, we accept Visa, Amex and MasterCard!